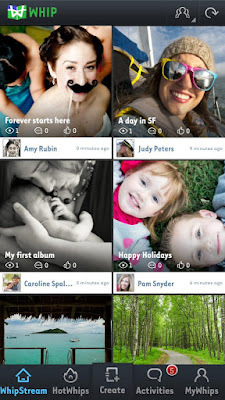 Whip (Android/iPad) - Awesome Social Photo Album ~ Android Forever! Developer Quote: "Whip is the new FREE way to bring your adventures to life in a social album featuring photos, music, and text. Whether you want to share your Super Bowl photos, your Valentine's Day date, Holiday event or latest travel adventure - get tons of raves on Facebook and Twitter with your photo album. And it only takes 3 steps!" Photos, by their very nature, are meant for sharing, which is why social photo albums are so excellent. What makes this app so cool? • Whip out your photo album (a.k.a. 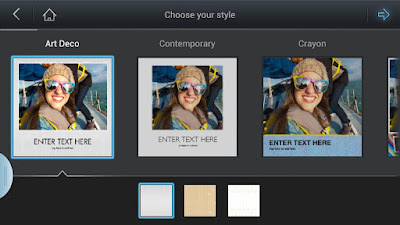 a Whip) in three easy steps: select photos, select a template style, share! • See what’s popular and trending at a glance in the HotWhips.